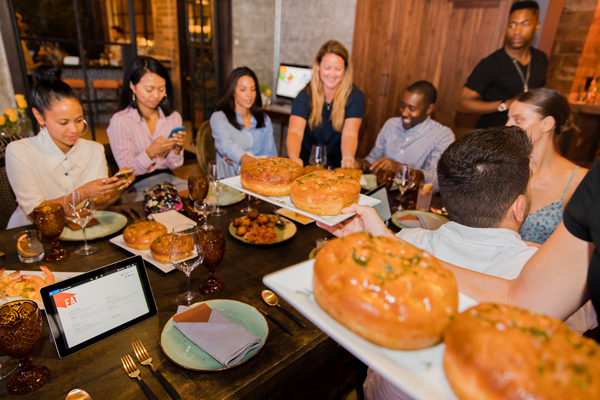 Infatuation called about an amazing event they had cookin’ in LA to launch the new Microsoft Surface Go and we immediately answered – apron in hand. 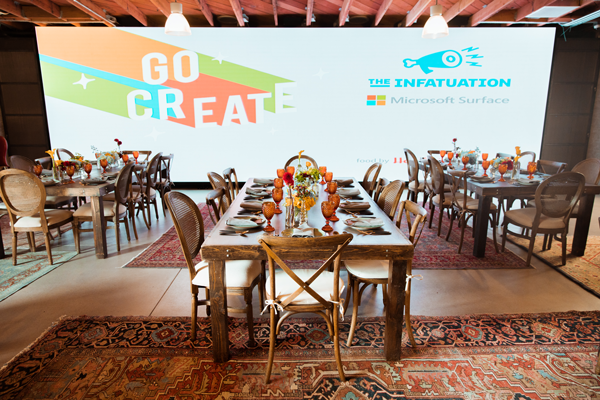 The Infatuation team collaborated with the amazing chefs from Felix Los Angeles and Howlin’ Rays to curate a menu for media, influencers and actors. 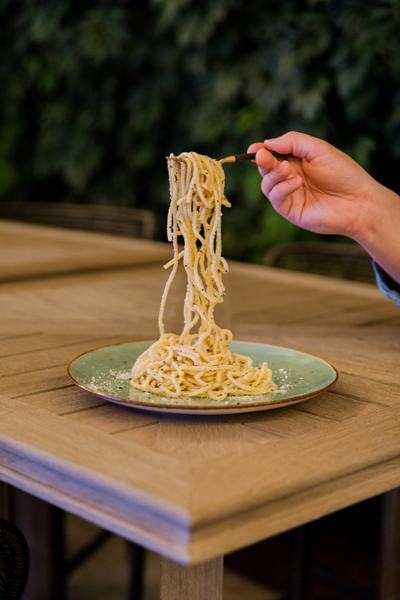 The result: an epic 6 course meal. 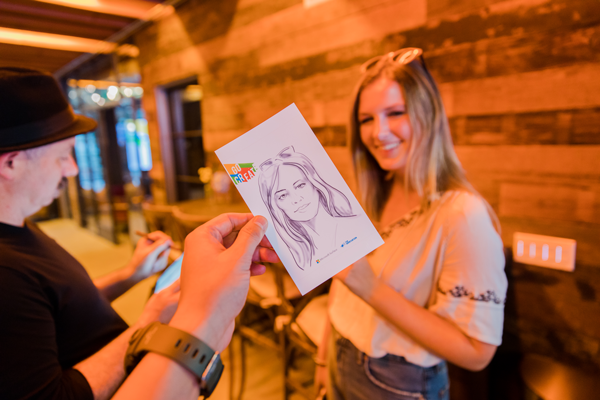 Many mahalos to Rais Case who came in and made some epic custom swag while Drawing Booth drew portraits of the guests using the Microsoft Surface Go and Mamas-Medicine Cocktails for the libations. New York, New York you never cease to amaze! 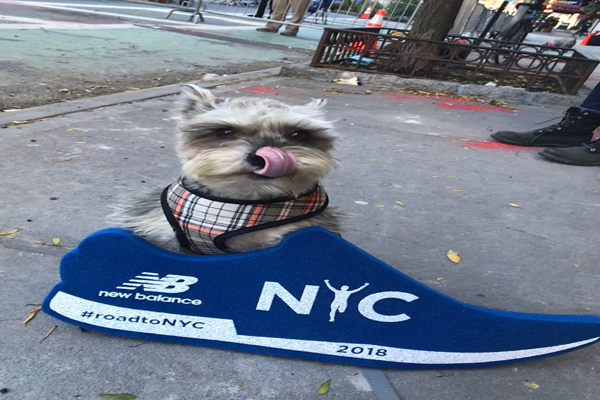 I had the pleasure of working along side some amazing individuals to put together three exciting activations for New Balance at the New York Marathon. 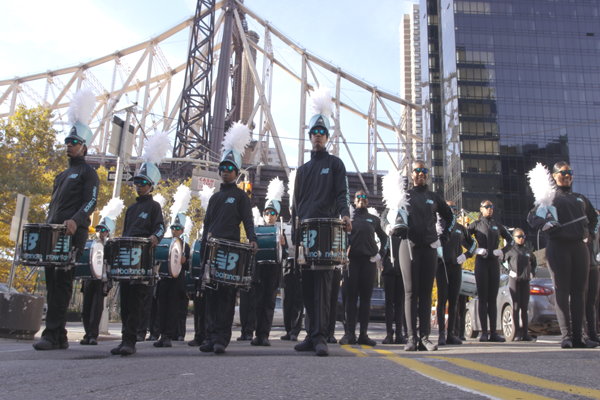 At Mile 16 we cheered on runners with a drum line from the Brooklyn United Music & Arts program to keep participants motivated with foam sneaker “hands” and posters! We also put together a Run Hub. 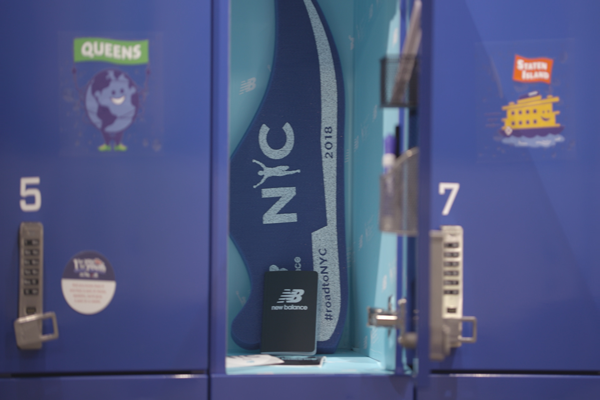 This was a base for runners to purchase official New Balance x New York Marathon merchandise, get their bibs, and hear panelists speak complete with fully custom lockers for runners to store their gear. 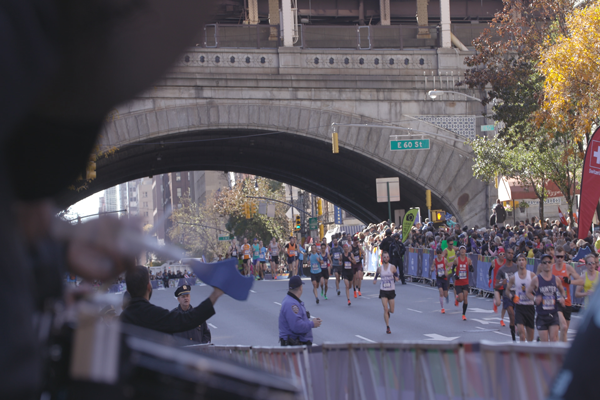 Lastly, a station where friends and family could create custom posters to encourage the runner. 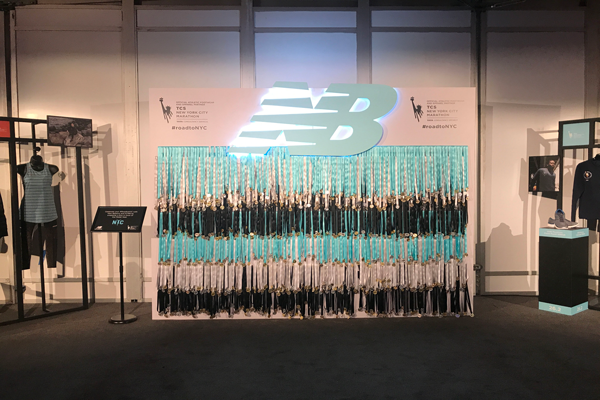 Finally, the medal wall at the Runners Pavilion in Central Park. 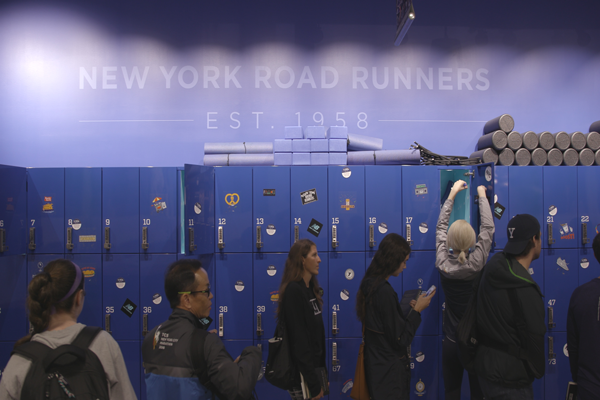 A photo moment created for 65k runners to pose in front of. Have a look at the video to see the whole event in action! 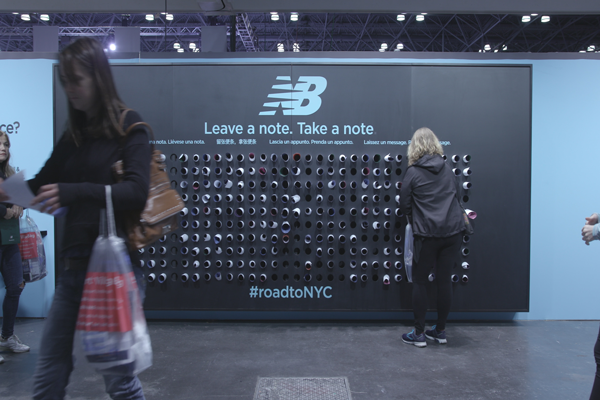 New Balance Marathon Week from Crush & Lovely on Vimeo. 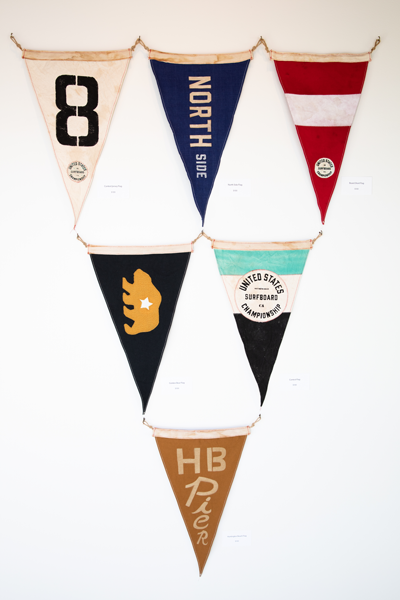 When two powerhouses in the surf industry come together to create art you pay attention. 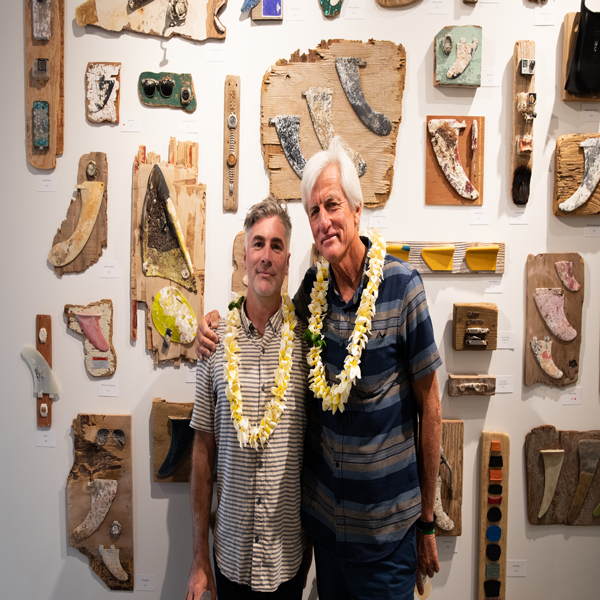 Mark Cunningham and Scott Richards created a show centered around the Ocean for the Salty Surf Artifacts gallery opening at Pacific City in Huntington Beach. 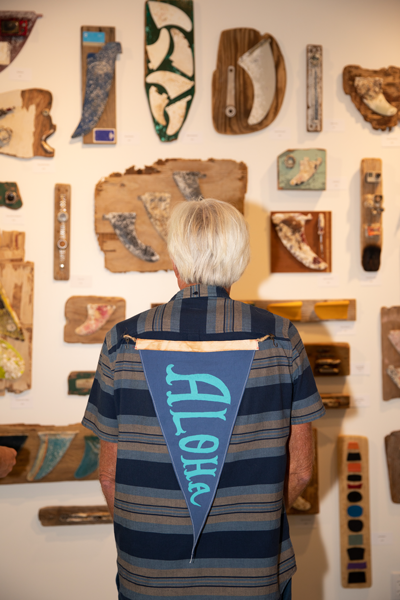 On hand were industry insiders, surfers, beach lovers and art enthusiasts who celebrated the surf flags by Scott and the found ocean objects art by Mark. 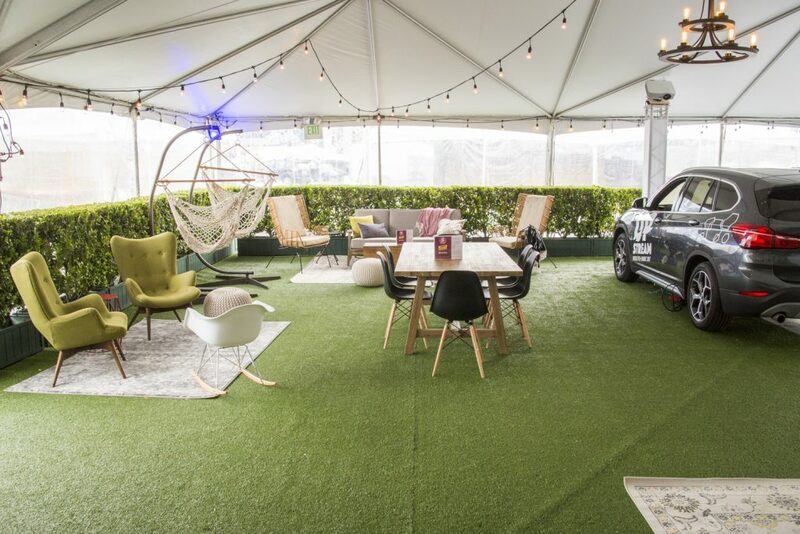 The event curated by our friends over at FUNSTRS and supported by Jose Cuervo, Vissla, Surfing Heritage Cultural Center and Mucho Aloha was a great success. Thanks to the great artists and to Pacific City for hosting this amazing event. 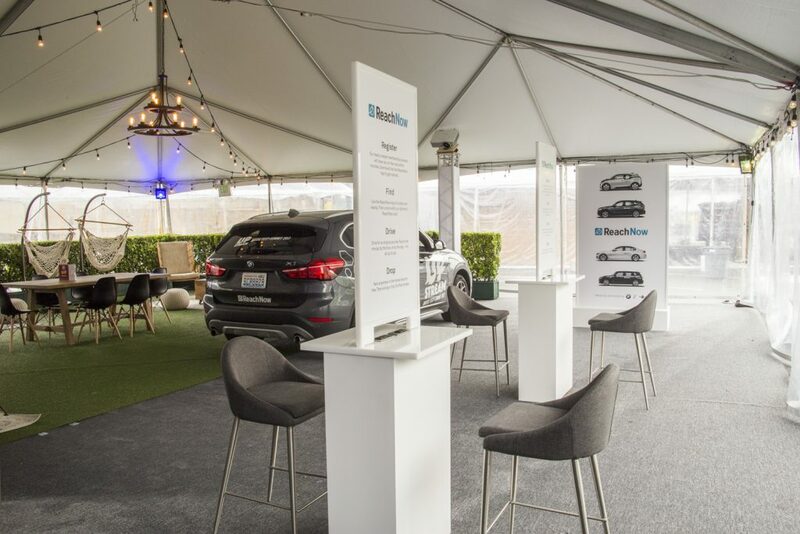 The creative brief was clear, introduce ReachNow, BMW and Mini Coopers ride sharing service, to the masses at Seattle’s Upstream Music Festival. 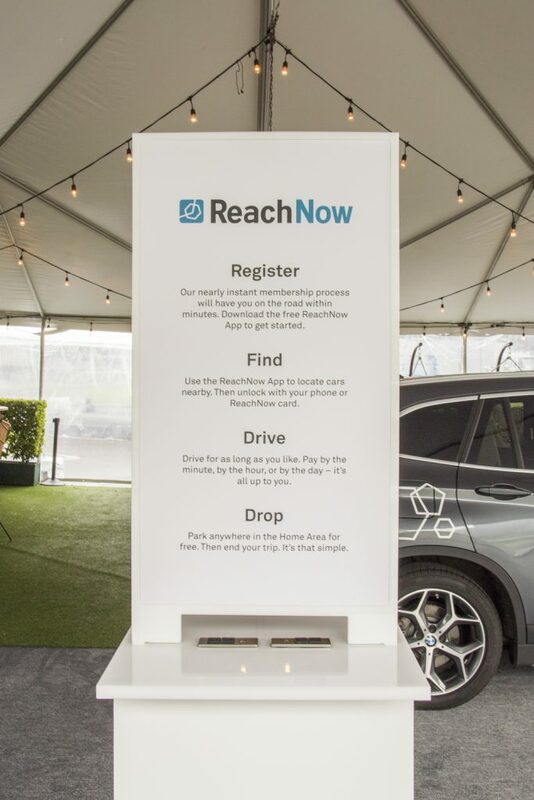 ReachNow, a fairly new service located in Seattle, NYC and LA wanted to showcase the brands features, their fleet of cars and their fun side for a three day activation outside of the stadium. 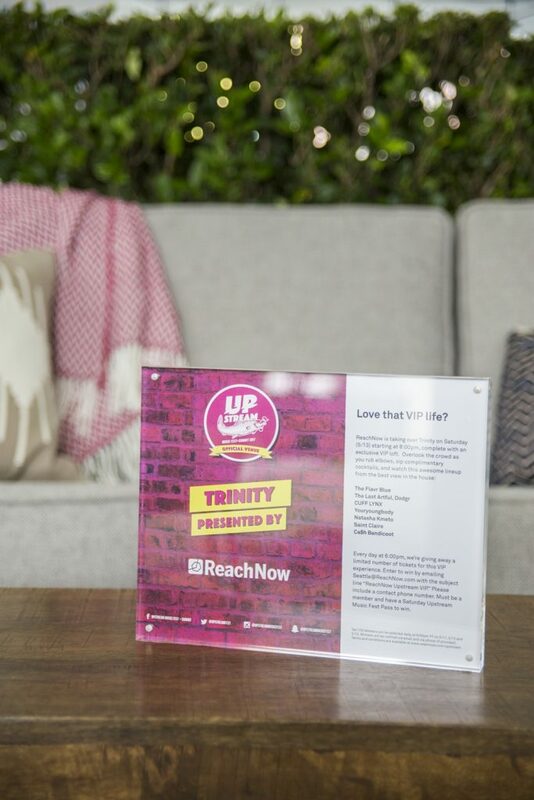 We created two sides to the booth, The WORK HARD side being the educational/techy side where attendees could sign up to be a ReachNow member, charge their phone and learn more about the brand. 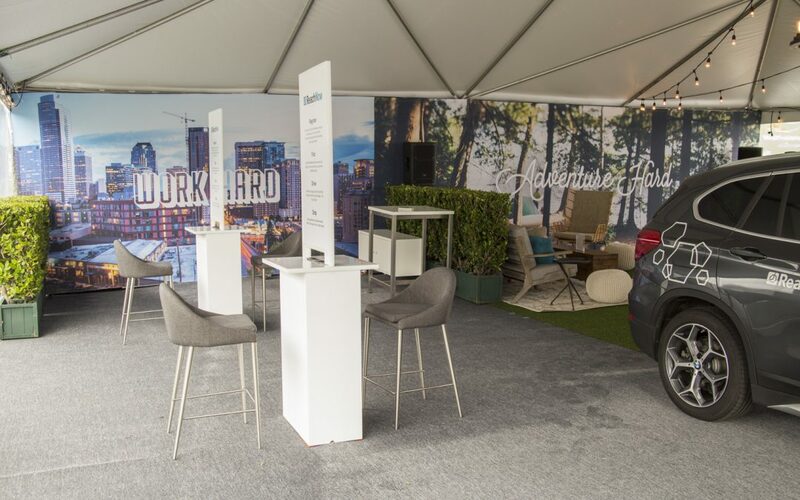 And then the ADVENTURE HARD side which boasted a photobooth taken in the trunk of the mini-cooper, Carpool Karaoke from artists performing at the Upstream Music Festival and a VIP lounge. 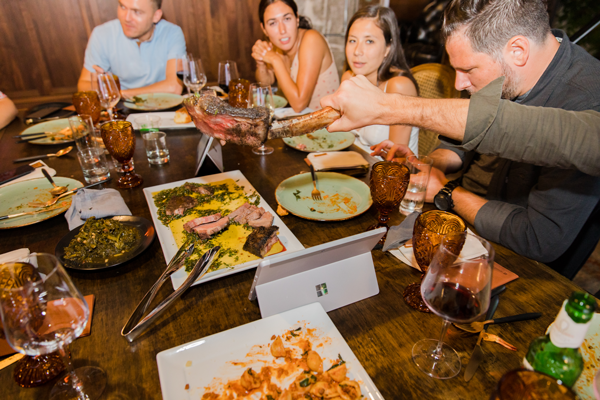 Attendees had a great time and loved the vibe! 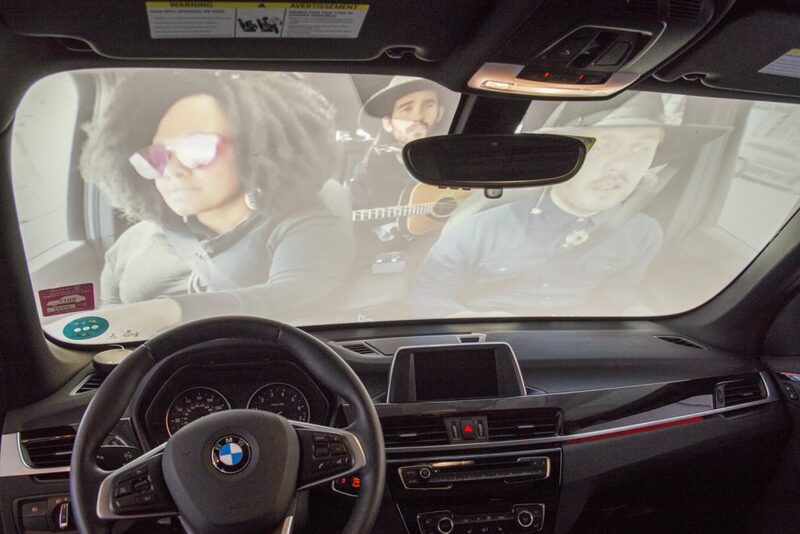 Have you ever walked into a space and have just been WOWED by its beauty and vastness? 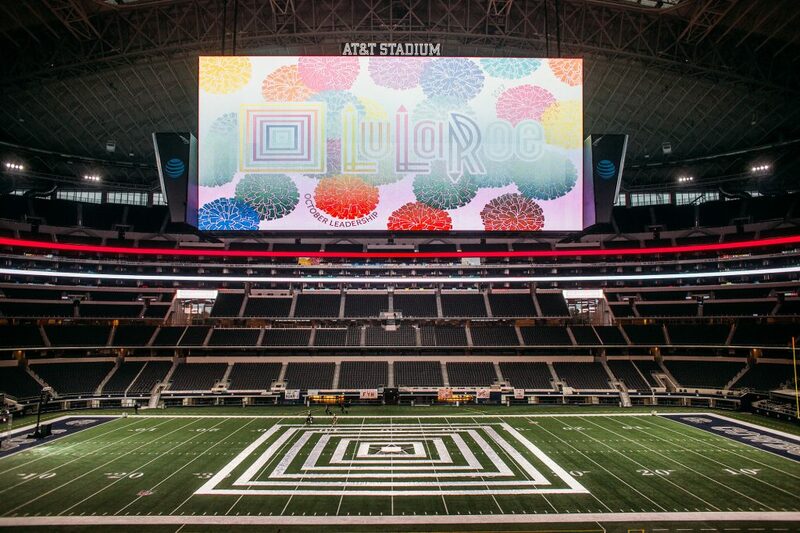 Well, when walking into AT&T Stadium Home of the Dallas Cowboy for an event that we produced we had to pinch ourselves a little that we got to create something really fun in such an iconic place. Our client wanted their logo to be front a center when guests entered the field so we delivered. Creative a larger than life logo on the field was no small feat but we think we scored the winning touchdown with this execution. 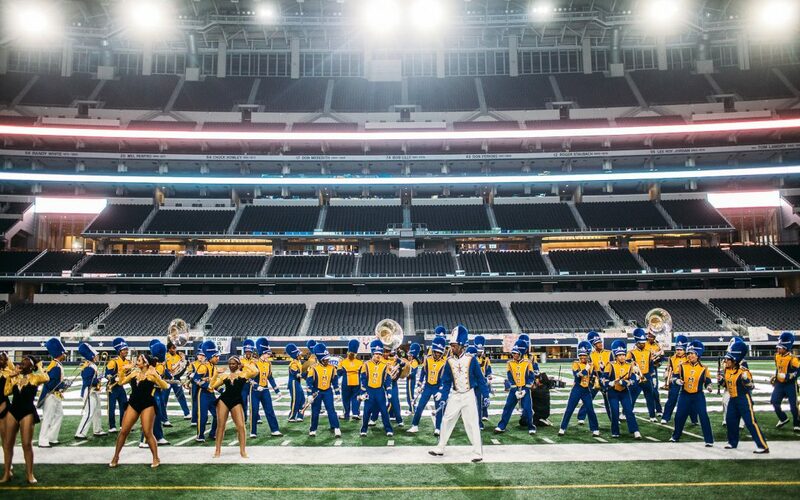 Before we invited guests to stand on the logo for an aerial photo we had the amazing Dallas Cowboy Cheerleaders perform a custom-to-client dance and welcomed the local highschool marching band to bring people onto the field. 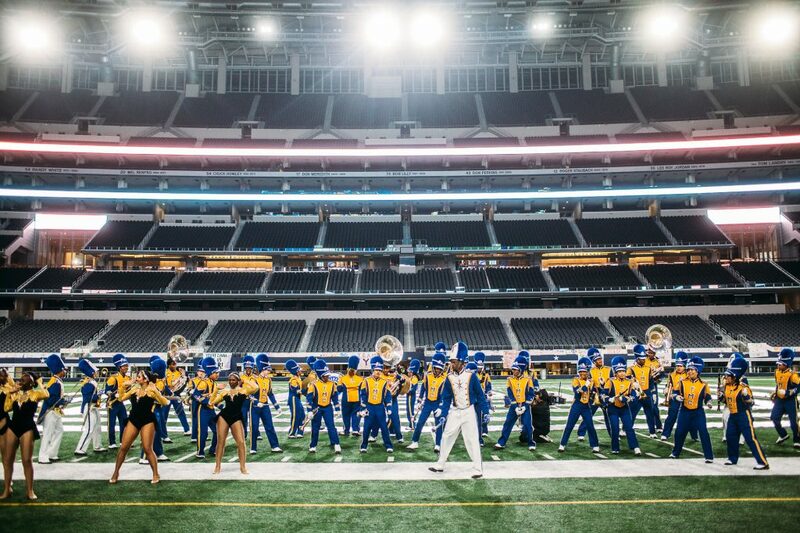 The night culminated in dancing and field goal kick on the field. 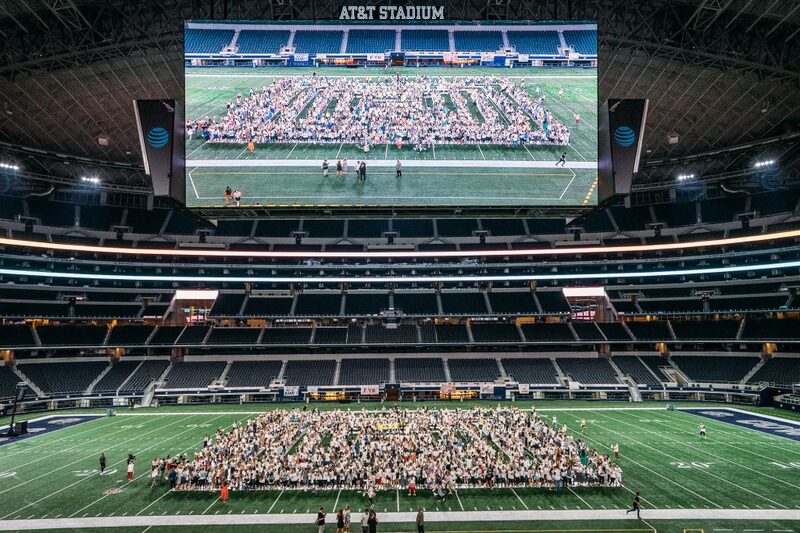 Lets just say the 1200 guests felt like winners at the Superbowl!